During a typical cataract procedure, the natural lens of the eye, which has been clouded by a cataract, is removed and replaced with an artificial lens known as an intraocular lens (IOL). There are a variety of IOL’s available on the market today, grouped into two categories – standard and premium. The type of lens that our doctor recommends will be based on your unique needs and the benefits offered by the lens. How are Premium IOLs different from standard IOLs? Standard IOL’s were the first type of intraocular lenses created and were the only type of IOL available for many years. Standard IOL’s are monofocal lenses that are designed to provide patients with good distance vision. Patients who have this type of lens implanted will need to use glasses for near activities, such as reading or computer work. Additionally, patients with astigmatism will likely need to wear glasses for both near and far distance activities. As the demand for more sophisticated IOLs increased, companies began experimenting with IOL’s that would provide both near and far focusing power and those that would reduce astigmatism, which led to the introduction of Premium IOL’s. 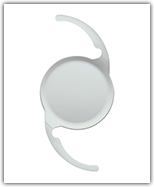 Premium IOL’s are designed to reduce the need for glasses after cataract surgery. Using toric technology, these lenses can provide sharper distance vision. Using multifocal, extended-depth-of-focus (EDOF), or accommodating technology, these lenses can provide distance and near focus to the individual at almost all times. These premium IOL’s are available to qualifying patients after a consultation at our Huntington Beach office. We want each of our patients to experience clear vision after cataract surgery with little to no need for glasses. For this reason, we offer a variety of premium IOL’s to our cataract patients, each of which is discussed below. During your consultation at our Huntington Beach office, we will take into consideration your overall eye health and other eye disorders that may be present, such as presbyopia and astigmatism, and make one or more recommendations as to IOL’s that we believe will best suit you. The TECNIS Multifocal lens corrects vision at distance and near. 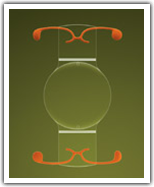 This IOL also comes in varying powers for near vision so how close you see can also be customized. With TECNIS Multifocals, many of our patients are able to see clearly without the need for eyeglasses or contacts after their cataract surgery. 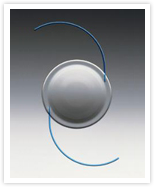 TECNIS® Symfony IOL’s are a unique type of extended depth of focus IOL that are able to effectively correct presbyopia and low to moderate levels of astigmatism in cataract patients. With Symfony lenses in place, many of our patients experience complete freedom from eyeglasses and enjoy high quality near, intermediate, and distant vision. 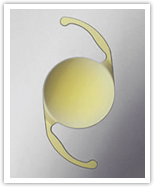 The AcrySof Toric lens is another revolutionary IOL created by Alcon. This lens is designed to restore vision in cataract patients who suffer from astigmatism. With the AcrySof Toric IOL, patients are less dependent on glasses after cataract surgery. The lens cannot correct presbyopia, however, so patients with this condition may need to continue using reading glasses or bifocals for near vision tasks. 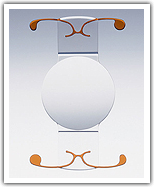 TECNIS Toric IOLs are used in cataract patients who also require astigmatism correction in order to see clearly. There are surgical ways to correct astigmatism, but TECNIS Toric Aspheric lenses allow clearer vision without additional surgical requirements. With Toric lenses, most patients achieve clear distance vision without glasses, but may still require glasses for near vision activities, such as reading and computer work. The CrystaLens Accommodating IOL utilizes a unique mechanism, similar to a camera’s autofocus function, to help patients achieve clear vision at certain ranges of vision – intermediate, far, and at all distances in between. Crystalens is designed to work with the muscles of your eyes that move and focus the lens to provide a more natural experience after IOL’s are implanted. Of all the IOL’s, Crystalens is known to provide the best vision for night driving, making it an excellent choice for individuals who rely on their vision at night. Most people who receive Crystalens IOL’s achieve independence from glasses for distance and intermediate vision tasks, and some of these individuals are also able to read a newspaper without glasses. TRULIGN Toric IOLs are designed to correct cataracts and astigmatism at the same time, without the need for additional surgical steps. TRULIGN provide a broad range of vision to patients after cataract surgery, and many of them are able to perform certain tasks without the need for eyeglasses for distance and intermediate tasks. Alcon has been manufacturing AcrySof IOLs since the 1990s. With over 21 million lenses implanted worldwide, the AcrySof family of lenses is one of the most popular premium IOL on the market today. 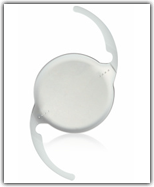 The AcrySof ReSTOR represents the latest advancement in IOL technology. A non-moving lens, the ReSTOR works by focusing vision through specialized lens surface that provides focusing power at different distances. In clinical studies, over 80% of patients with and without presbyopia achieved freedom from glasses after receiving ReSTOR implants. You are invited to call us (714) 312-1442 and schedule a consultation with one of our cataract experts. We accept most insurance plans. Our doctors will examine your eyes and suggest a laser cataract surgery that for the best surgical outcome.